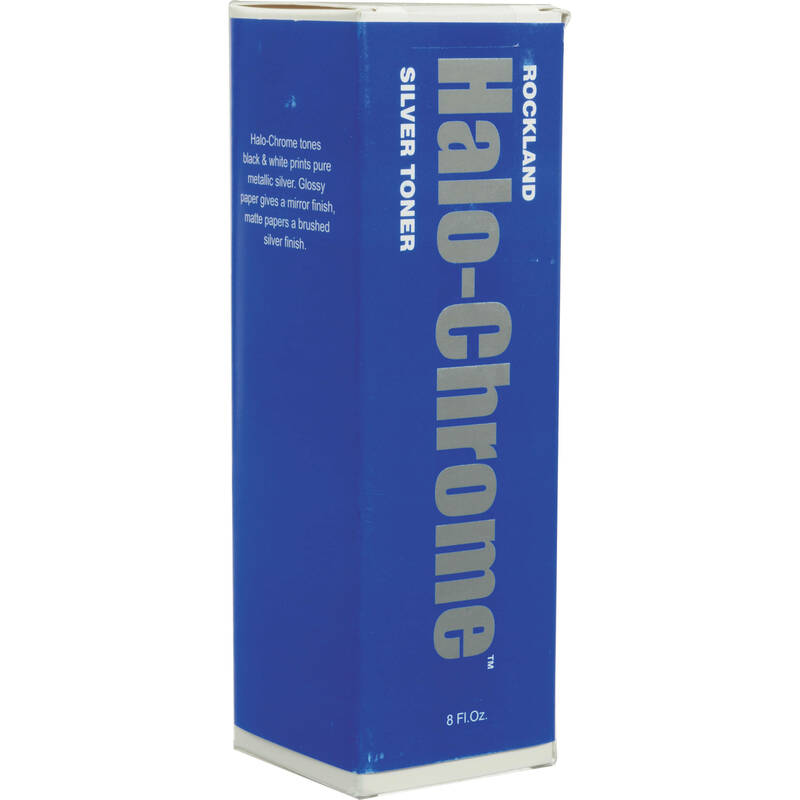 Designed to give a silvered appearance to your black and white prints, Halo-Chrome from Rockland is a versatile toner for producing a variety of metallic effects. Depending on application, you can replace either the white or black tones with metallic silver to produce silver & black or silver & white effects, respectively, and it can also be used in conjunction with Printint to render silver on color effects. This toner is designed to be used in mixture with ammonia, and the 8 oz bottle provides enough chemistry to tone approximately 40, 8 x 10" prints. Box Dimensions (LxWxH) 7.165 x 2.441 x 2.205"